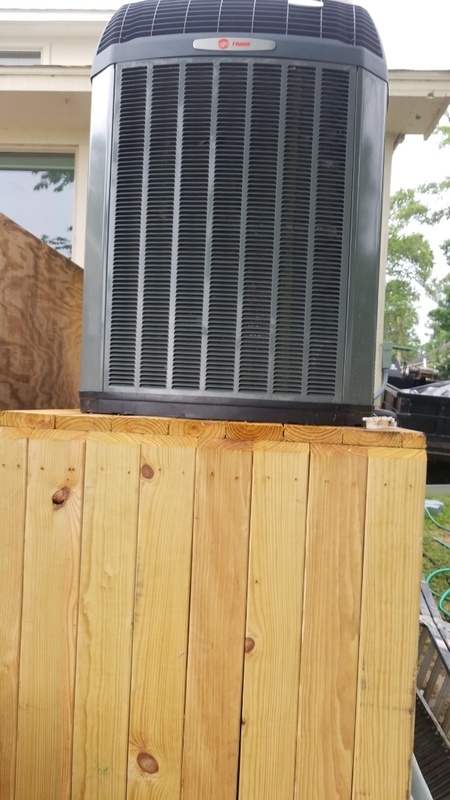 Dependable heating, cooling and refrigeration is easy to come by in Huffman, TX thanks in large part to A-1 Tops Services. Read the recommendations of your Huffman, TX neighbors to see why you should choose us for the heating, cooling or refrigeration service that you need. Finishing installing another 20 Seer Trane system. Going beyond the call of duty. Had to become a general contractor on this one to get the permit. We had to put this on a five foot deck because this was in a flood district in Hurricane Harvey. This will save another 50 percent on customers electric bill like the other 20 Seer system we put in on 2015.